Last October we reported the event to be summoned to find the best application to cover the needs of the job search portal InfoJobs. Well, after being submitted over 500 entries, this Friday we will know the winning application that will arise with the prize. 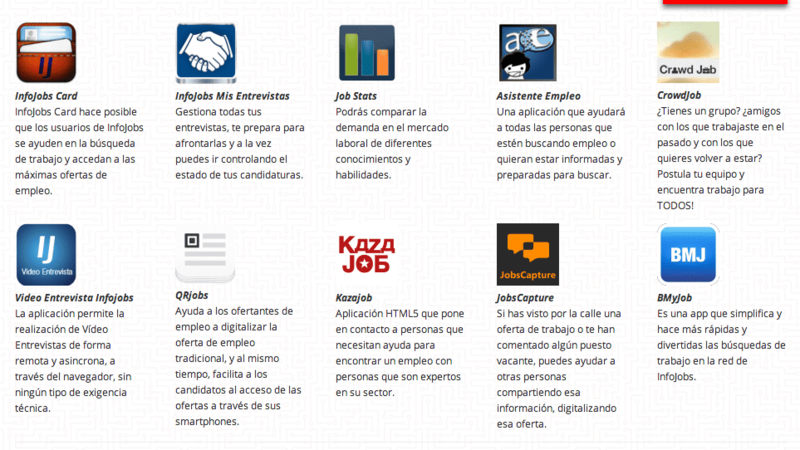 Kazajob, InfoJobs Card, BMyjob, QRjobs, JobsCapture, Assistant Jobs are some of the names of the ten finalists applications. InfoJobs App Challenge will take place this Friday, February 15, in Barcelona Activa (c / Llacuna, 162. 08018, Barcelona). During the final, will choose the winner of the contest application, will receive a prize of 10,000 euros, and the most original idea presented, which will be awarded $ 1,000. Finally, the application that has achieved the most votes online will also receive an award for a sum of 1,000 euros. As stated by Caroline Ragot, Mobile Strategist of InfoJobs, the contest has allowed "to create a space to connect people, talents and ideas to help those with InfoJobs to find the best job possible." If you want to attend the event, you can go to the site to register InfoJobs App Challenge free. Article On Friday we will know the portal application InfoJobs finalist was originally published in News iPhone .